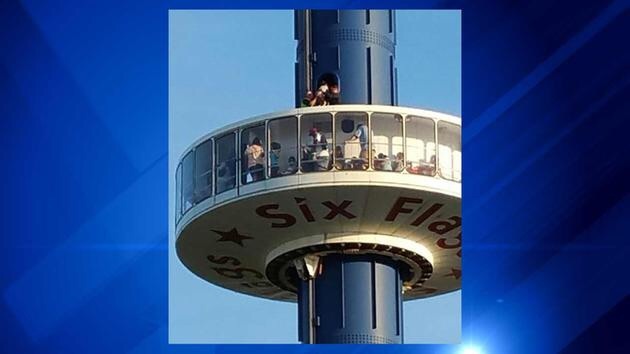 GURNEE, Ill. (WLS) — Riders on the “Sky Trek Tower” were stuck for more than two hours at Six Flags Great America in north suburban Gurnee Sunday. Passengers on the ride told ABC7 Eyewitness News that they used the staircase to get off the ride after more than two hours in the air. There is no word what caused the ride to get stuck and there are no reports of any injuries. The ride is closed until inspectors figure out what went wrong. Chicago’s Public Transportation System Put Passengers On Full Blast! !